Welcome to the Flying Frenchman, the UK's newest, ethical, sustainable producer and supplier of good foods. 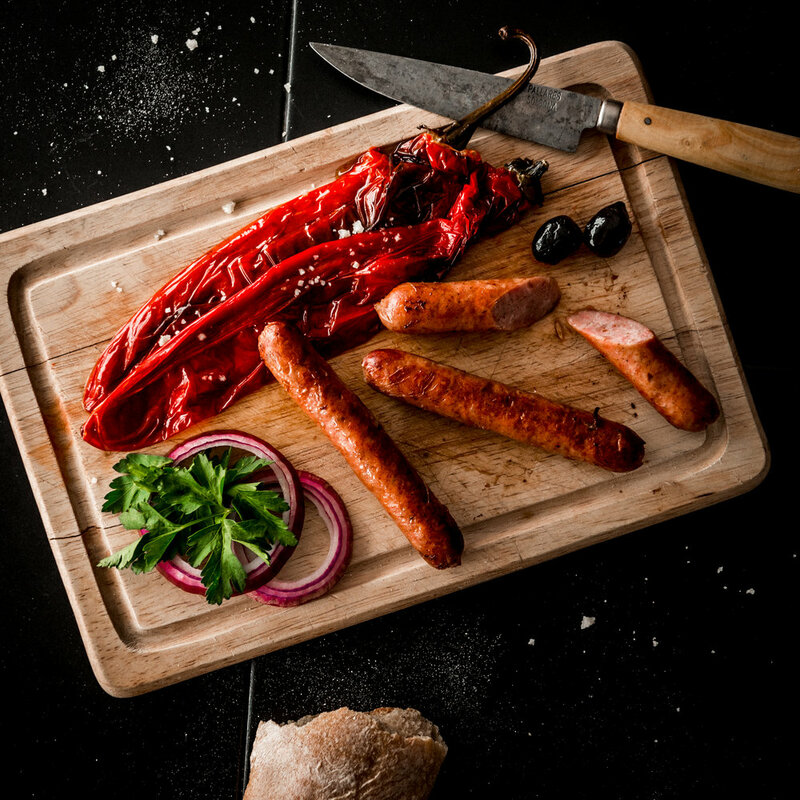 We are an artisan producer and supplier of quality sausages, patés, terrines and dips. Our kitchen only opened in February 2017, so over the next few months you’ll see our range grow as we try out new recipes. Be sure to check back for the latest news and products. It really goes without saying, but we believe that good food should be paired with good wine. Like our food, we only drink wines that are 100% natural, with no additives or sulphates. Watch this space, we're bringing wines here soon. London, we're coming for you! Le Van is our food truck, delivering premium, 100% natural hotdogs to the hungry streets of London – Coming VERY soon!